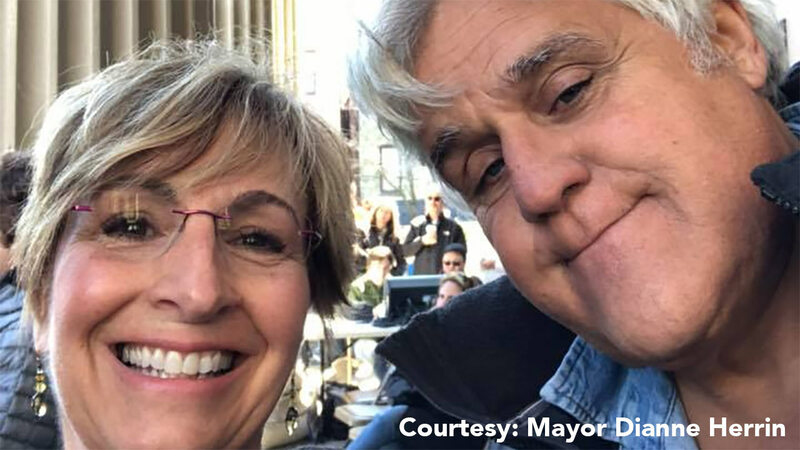 WEST CHESTER, Pa. (WPVI) -- An unexpected guest paid a visit to a March for Our Lives event in West Chester, Pa.
Mayor Dianne Herrin shared a selfie she took with former Tonight Show host Jay Leno. Herrin said it's her understanding Leno was in the area for a car show on Saturday. "He and his wife (who was also very engaged in the issue of preventing gun violence) wanted to stop by to show their support for the students," she said in a message to Action News. "His impromptu visit meant a lot to the students." Hundreds of thousands of people took part in similar marches all across the country.